These two 8 inch floppy disks were received by us to help recover config and data ini to CD or USB. They were used aboard a ship for the Main Engine Monitoring and Control (MEMAC) system by Lanng & Stelman Software (Denmark) Frederikshavn. The exact filesystem format and operating system details were unknown as the client had received the floppies from an old developer 30 years ago. Printouts with the disks showed the expected files on them to be config-obj, dataini-obj, explain, and memac-obj. In order to extract the files we first read all the floppy raw data (sector by sector copy or dd) and created a disk image file. We then analysed that for the filesystem which was proprietary (no written documentation existed) and made a program to extract the files. If you need a 8 inch Floppy Disk Data Recovery Memac Engine Control System service, then contact our friendly company. 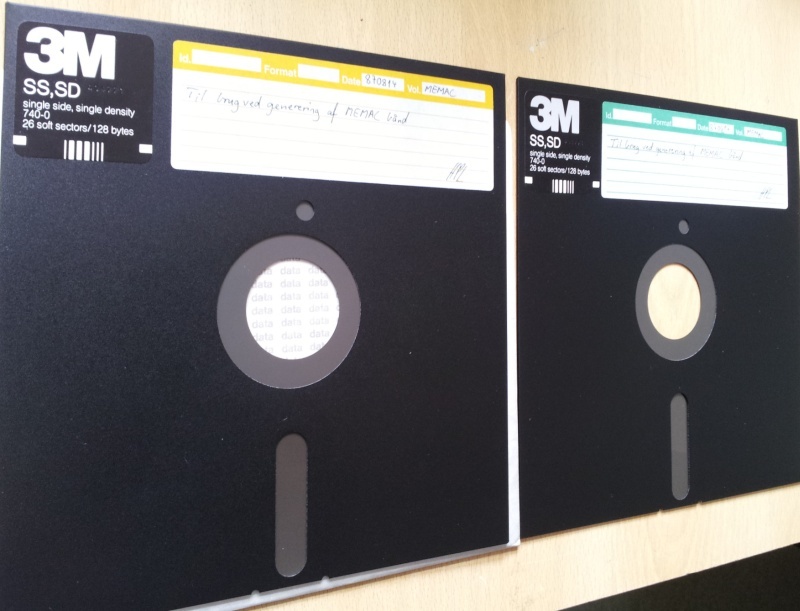 These two 8 inch floppy disks were received by us to help recover config and data ini to CD or USB. They were used aboard a ship for the Main Engine Monitoring and Control (MEMAC) system by Lanng & Stelman Software (Denmark) Frederikshavn. The exact filesystem format and operating system details were unknown as the client had received the floppies from an old developer 30 years ago. Printouts with the disks showed the expected files on them to be config-obj, dataini-obj, explain, and memac-obj. In order to extract the files we first read all the floppy raw data (sector by sector copy or dd) and created a disk image file. We then analysed that for the filesystem which was proprietary (no written documentation existed) and made a program to extract the files..